Squaw Mountain in Greenville, Maine is planning to reopen in January, 2013! 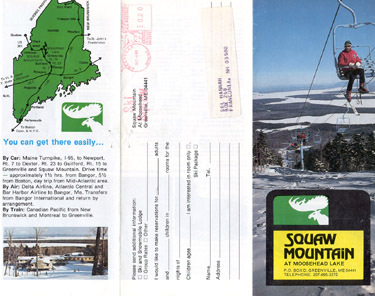 Big Squaw, later known as Moose Mountain or Big Moose Mountain, was one of the largest ski areas to close in New England. 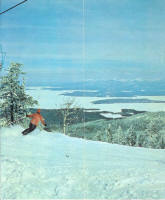 Open from 1963 until 2010, Big Squaw offered skiing on about 18 trails on a 1650' vertical drop. The trails have been described as classic New England trails - narrow and winding, with lots of character. Originally open with just a T-bar in 1963, it expanded to include a summit double chairlift in 1967, boosting the vertical from 600 feet to 1650 feet. 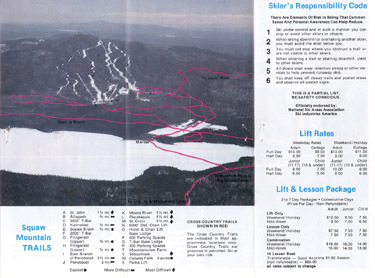 In 1986, a triple chair replaced the T-bar, which was moved to serve a beginner section. In the late 1990's, the popularity of this ski area began to wane, and then a lift accident occurred on the summit double in March of 2004, when a chair fell from the cable with two skiers on board. The lift never operated again. Operations were moved to the triple chair area, dramatically shrinking skiable terrain. 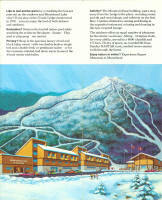 In 2010 major financial issues prompted the ski area to close. However, for the 2012-2013 ski season, The Friends of Squaw Mountain are in the process of reopening the lower mountain, which is terrific news! They hope to open sometime in January, 2013. For more information, please visit their website or Facebook page. 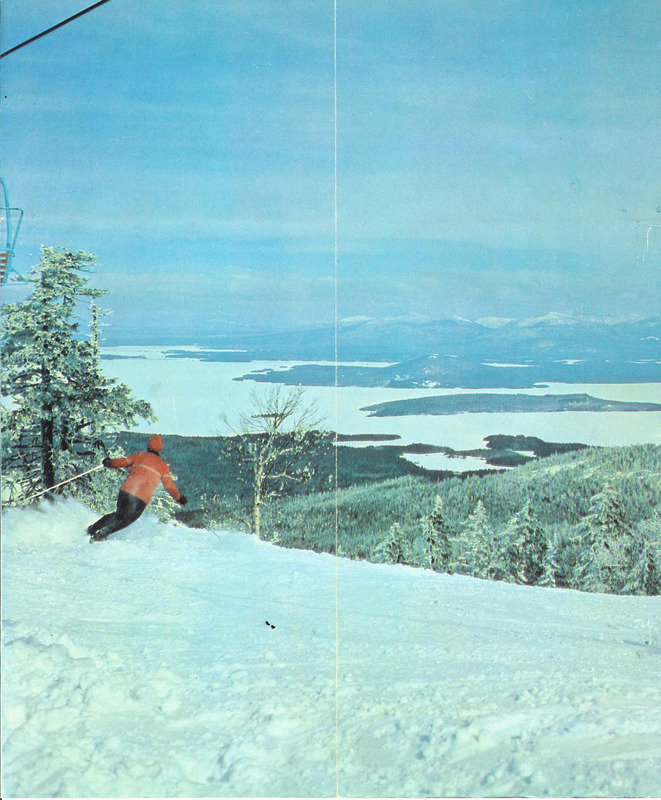 In the early sixties, Big Squaw Mountain in Greenville, Maine opened up a few trails near Moosehead Lake accessed by a single T-Bar. 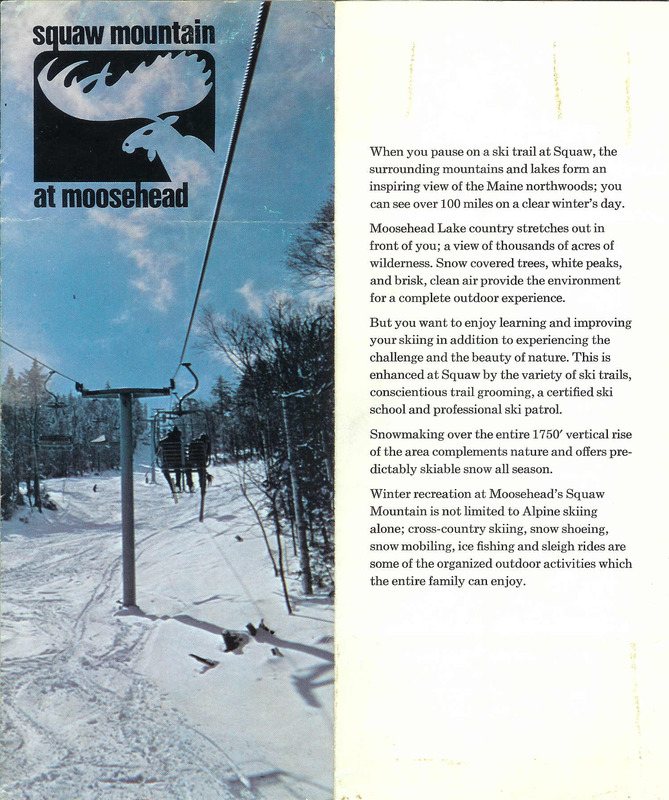 Over the years, a triple chairlift was added as the mountain enjoyed steady tourism from nearby Canada and also from ski trains coming from Bangor and southern Maine. Later, the mountain brought in famed trail designer Sel Hannah to lay out runs on the upper portion of Big Squaw's summit, where a double chairlift was being added. 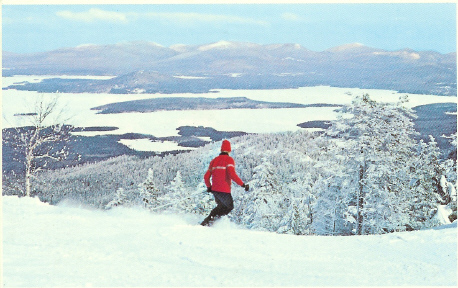 These trails became classic New England ski runs, with steep, winding rollers and bank turns amongst a think forest and set against the backdrop of the stunning Moosehead Lake Region. The views from the summit stretch all the way to Canada, the coast, and across 40 mile Moosehead Lake to the snow-capped summit of Mt Katahdin. At a distance of only 50 miles, the view of Katahdin from Big Squaw's summit on a clear day is enough to make your jaw drop. 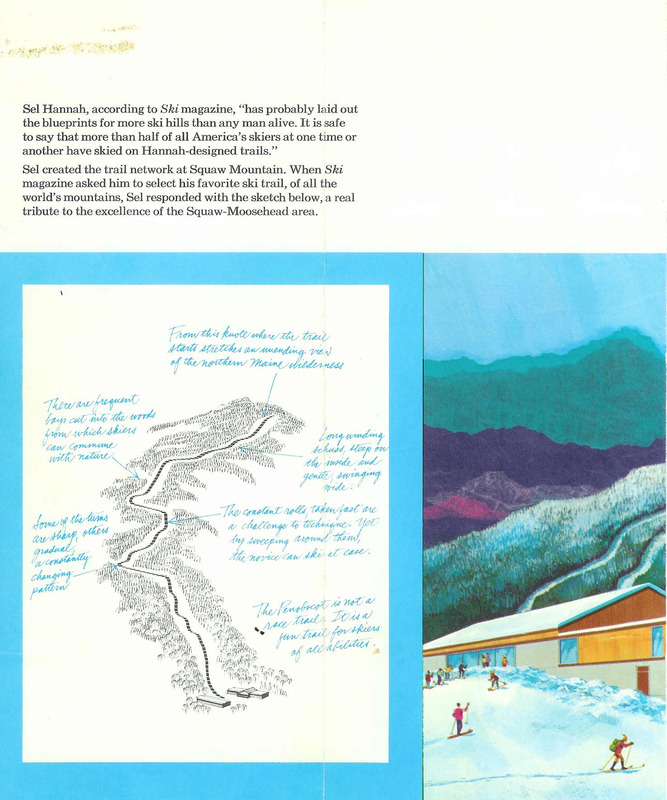 Throughout the seventies and eighties Big Squaw had several different owners, including the Scott Paper Company, and enjoyed moderate success as an out-of-the-way gem with legitimate vertical and interesting terrain. A hotel was added, and at one point the mountain employed around 300 people. Stories from these days are a plenty, including running the chairlift on full-moon nights for the rowdy crew that frequented the bar in the base lodge. Several classic runs include the steep and windy St Croix and Piscataquis trails on the western side of the upper mountain, and the newer Sebomook trail, which has a huge amount of small rock drops and offers some Mad River Glen type terrain. 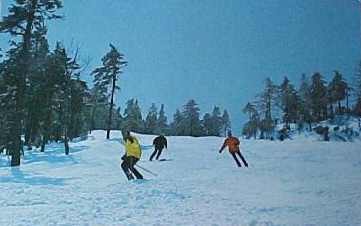 Things began to wind down at Big Squaw in the nineties, even as an employee spent years thinning out leeward tree aspects which would become some of the most fantastic gladed skiing you can find in Maine. The real nail in the coffin came around 2004, when a chair on the upper double lift fell 30 or so feet with two people on board. 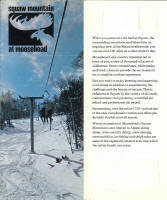 For the last 9 years, operations have been centered around the lower mountain's triple chairlift and modest day lodge. This may continue in the future, but this winter will mark the first season since its opening in the 60's that the mountain will not operate on any level. 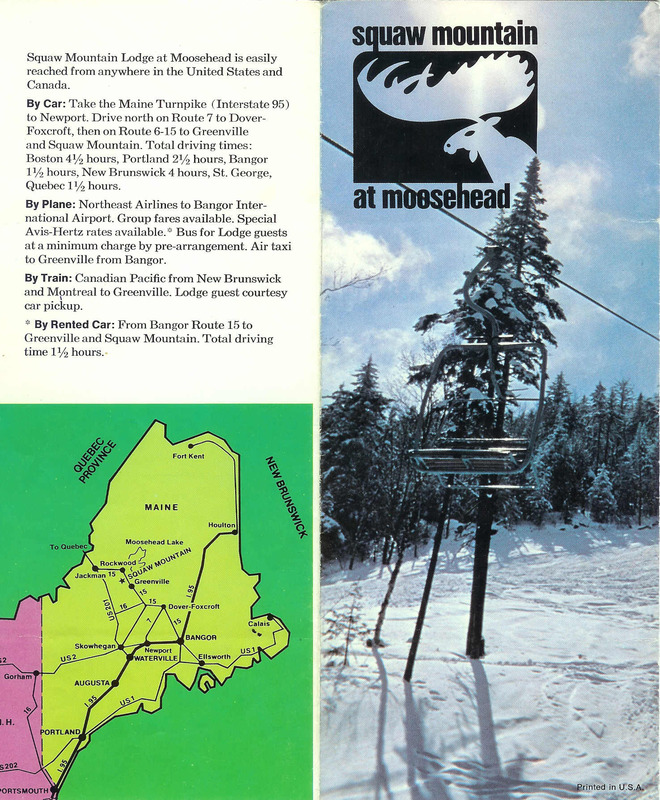 What was once in the top three ski resorts in Maine is now merely a memory, with most of Greenville's skiing population having moved on to other areas. The town itself has suffered noticeably as downtown Greenville resembles a ghost town during the winter months. The current owner of the mountain has most definitely let it fall into disrepair. Big Squaw once had the best snowmaking system on the east coast, but during the nineties there were no repairs made to any of the pipes running alongside the trails and for the last 15 or so years there was snowmaking on only a few of the trails on the lower mountain. The trails remain skiable, as does the magnificent tree skiing on the western border of the ski area. Access, however, is another story. The current owner has gated the road to the mountain, and although people still manage to skin up the upper mountain from other areas, it's not easy to do this unnoticed. I was able to get a snowmobile to the top twice in the last ten years, and enjoyed powder turns all the way down both times. I'm sure people still manage to get to the top by skinning up a snowmobile trail adjacent to the lower mountain, but hardly anyone has heard of this place so its probably only been a handful of individuals. I'd love to see some attention brought to this issue, as Big Squaw is at the point now where if it isn't purchased soon it will never be feasible to reopen. I live in Colorado now, and even after getting 4 years worth of good skiing here, I still think the skiing on Big Squaw mountain was fun, challenging, and exciting. The mountain had around 24 trails, 2 chairlifts, 2 rope tows, and 1700 vertical feet of windy, rolling double-fall line classics. Daniel Taylor used to be a volunteer ski patroller at Big Squaw, who helped evacuate the double chair after the lift failure. He told us that before the 2003-2004 ski season, he and fellow patrollers had written to Steven King for a grant from his foundation for a new ski patrol warming hut at the top of the double, which was awarded to them. The grant also included funding for a proper snowmobile for the ski patrol to use. Just before the lift incident they tore down the old warming hut/patrol station, cleared the area, brought all of the materials to the summit, never to be installed due to the incident. The materials are still rotting at the summit of the ski area. This late 1960's brochure is courtesy of Laurie Puliafico. Click on each for a larger version. 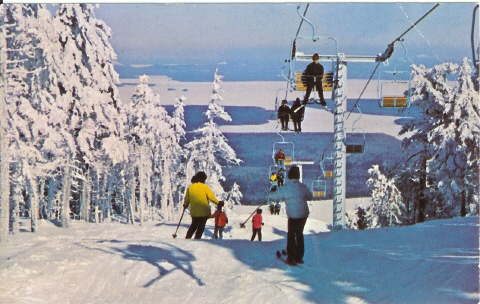 A postcard showing the top of the double chairlift. Skier's Paradise - Ideal snow conditions and breathtaking views as one winds his way down the many trails from the summit to the beautiful base lodge below. 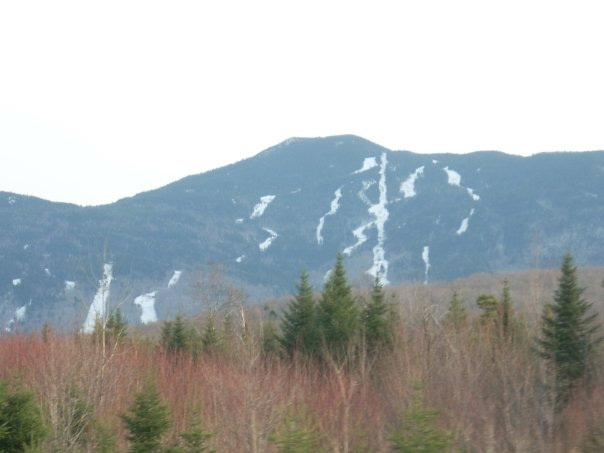 Ski Maine's Big Three--Sugarloaf, Squaw and Saddleback Mountains offer the best skiiing in Maine from Mid-November to Mid-April, as this photo, taken one one of Squaw Mountain's trails demonstrates. 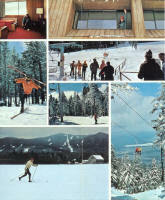 A 1981-1982 brochure of Big Squaw, which belonged to Sel Hannah, who designed some of the trails at the mountain. 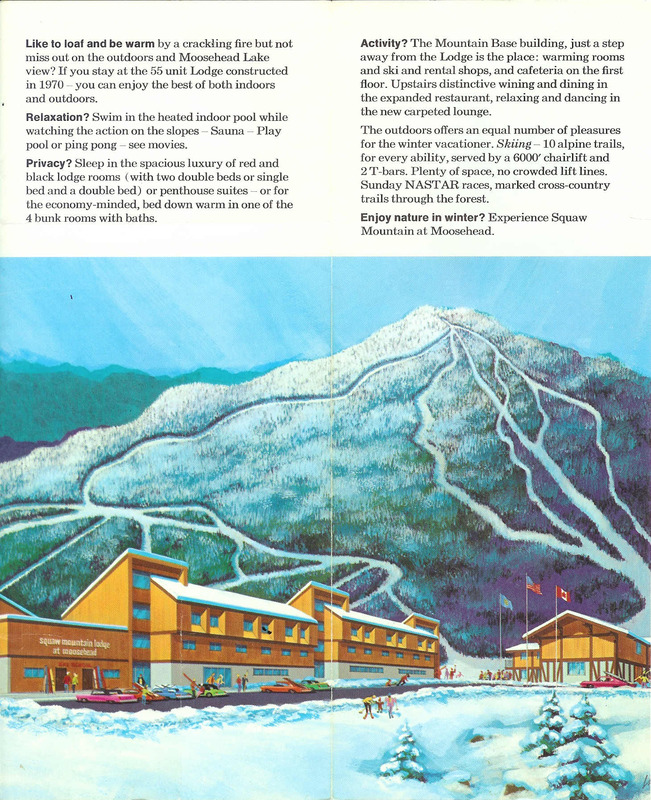 Courtesy of the New England Ski Museum. Click on the brochure for the larger version. 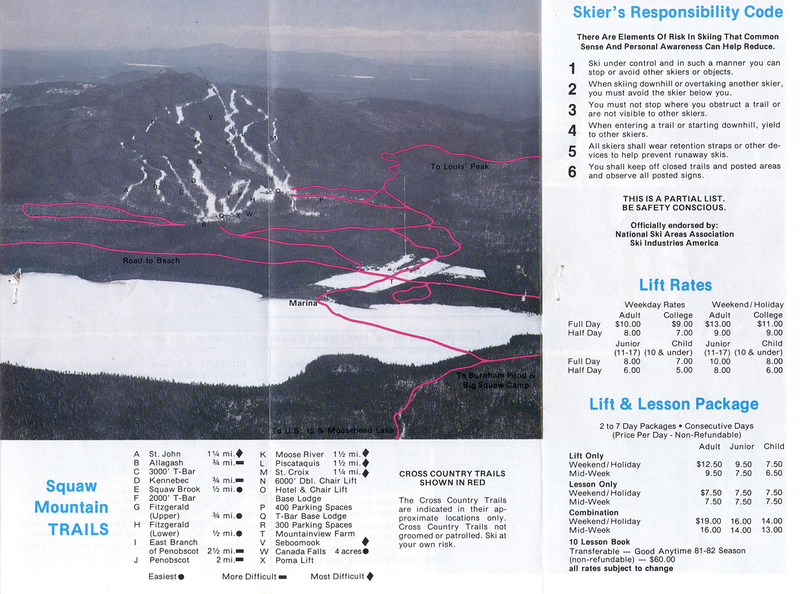 The inside of the brochure, showing the trail map and lift rates. Click on the brochure for the larger version. A view of the mountain from the 2000's - courtesy Kevin Bradford. Note the double chair liftline and trails on the right, and the triple liftline on the lower left. If you remember this area and have more info, just let us know.